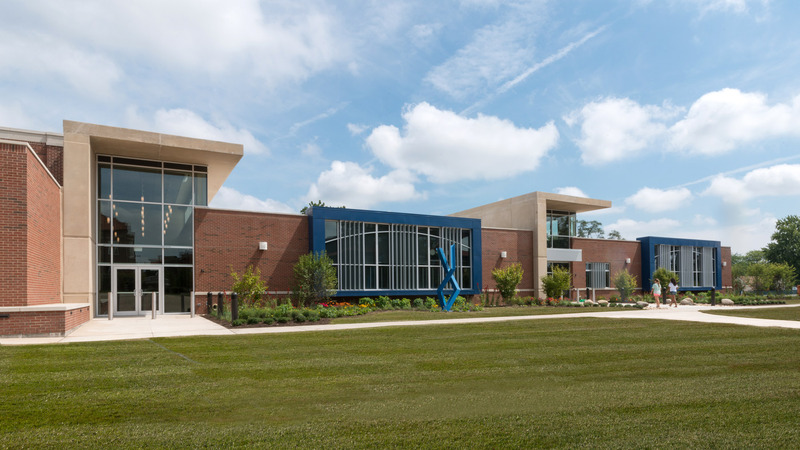 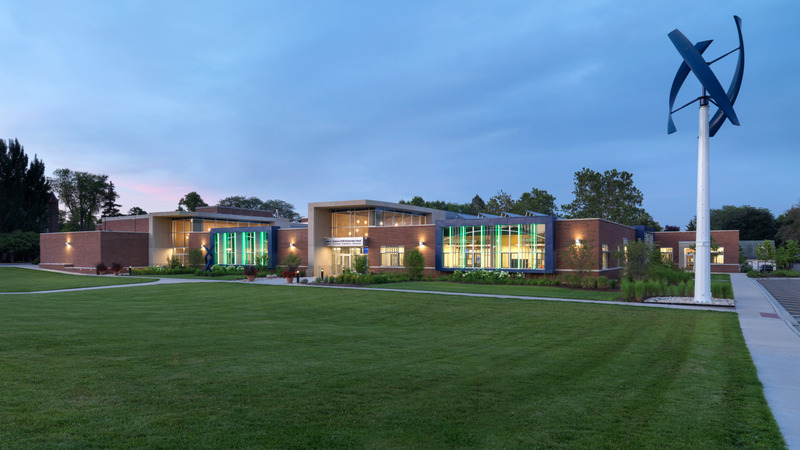 This innovative learning facility, which serves third through eighth grade students from three regional public school districts, is designed to address regional and national deficiencies in science, technology, engineering and math education. 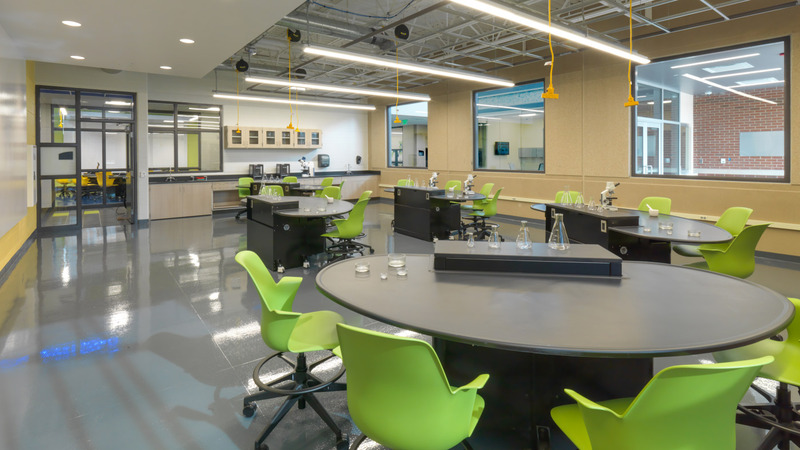 The multi-generational STEM Partnership School includes eight classrooms, six laboratories, a STEM Forum, a multi-purpose room, a greenhouse and rooftop garden. 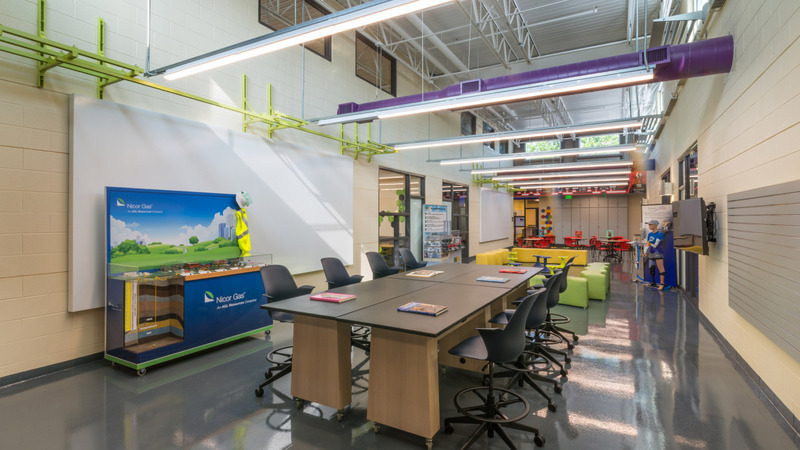 In the classrooms, students work at tables which are on wheels so that they can be arranged into a variety of configurations to support different learning experiences. 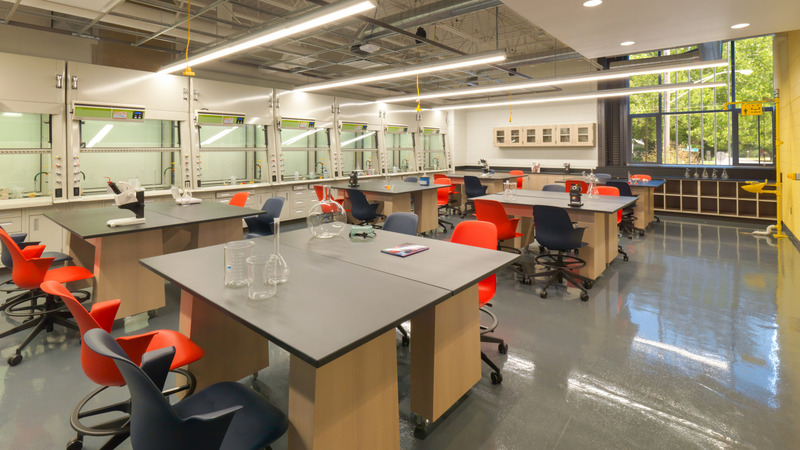 In some of the laboratories, the lab tables adjust in height to accommodate young children and university students. 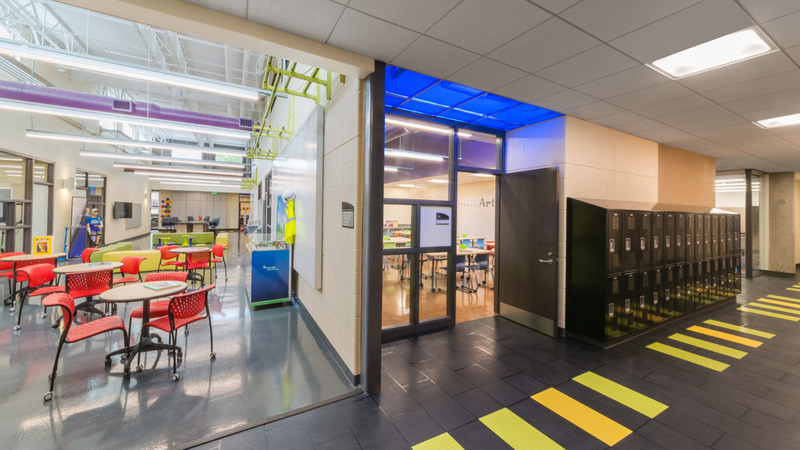 The elementary and middle school students have benefited from the well-equipped labs as they embark in inquiry-based learning activities. 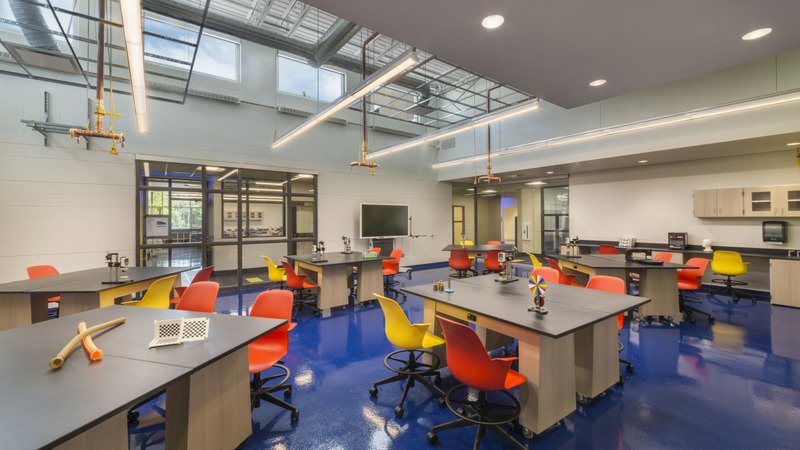 An exciting learning environment and engaging learning experiences will encourage students to continue their study of STEM fields. 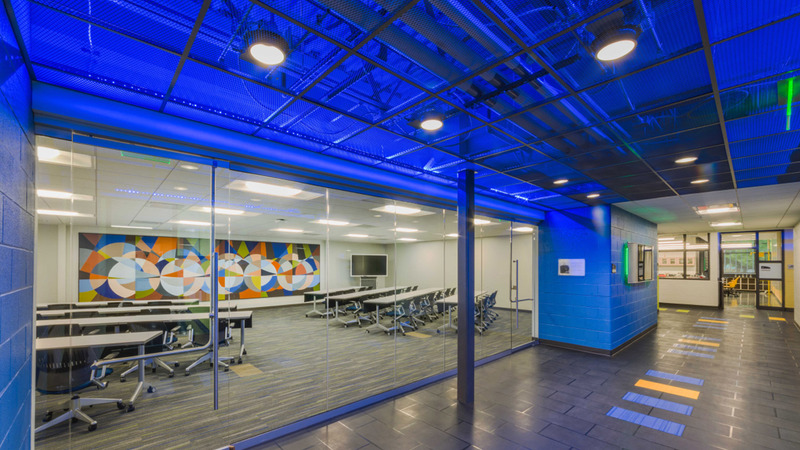 The Classrooms feature controlled natural light that provides a stimulating environment and helps reduce building energy costs. 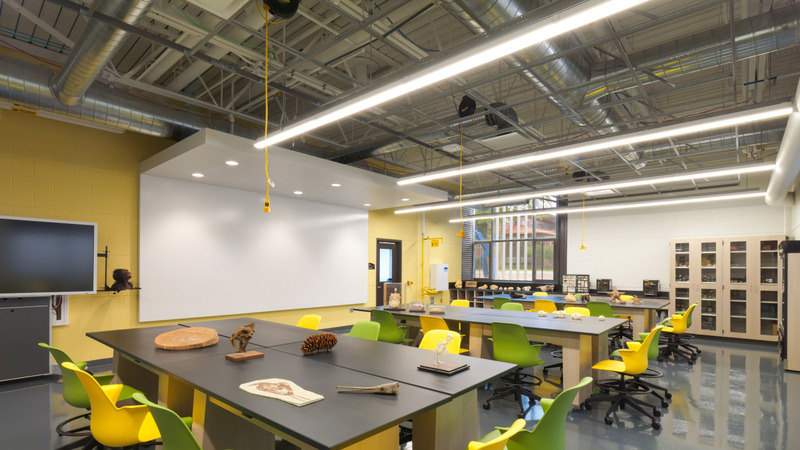 Exposed piping and ductwork for plumbing and HVAC and glass fronted mechanical rooms, technology rooms and plumbing chases help students see and understand "backbone features" of the building. 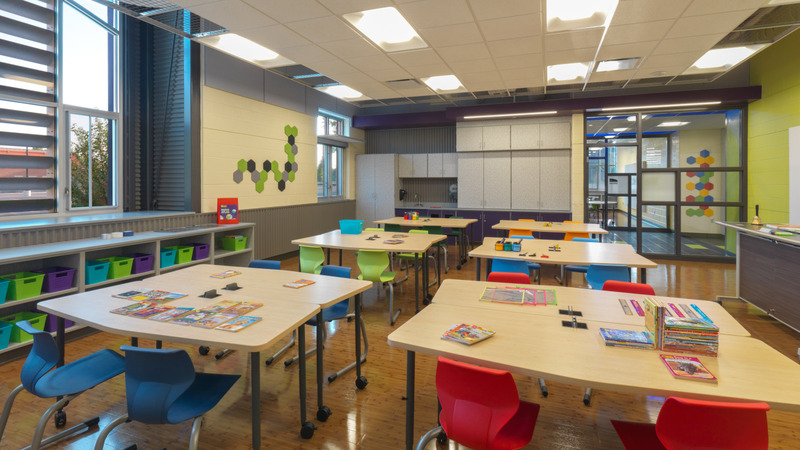 Each classroom is designed with flexible furniture and technology so it can perform as an "innovation lab". 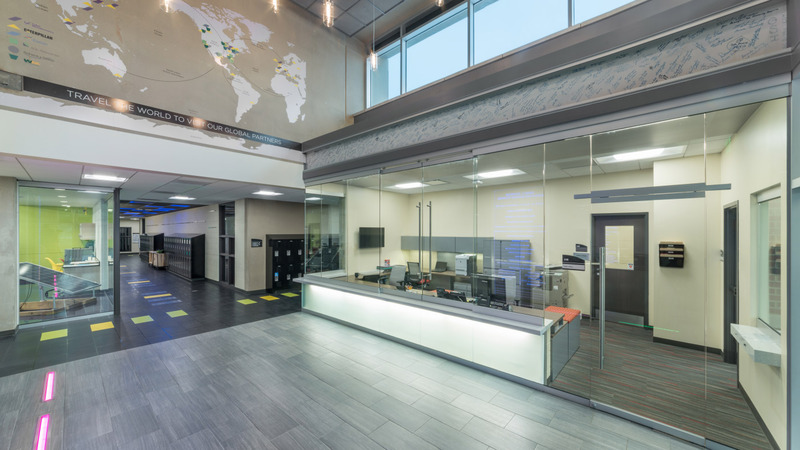 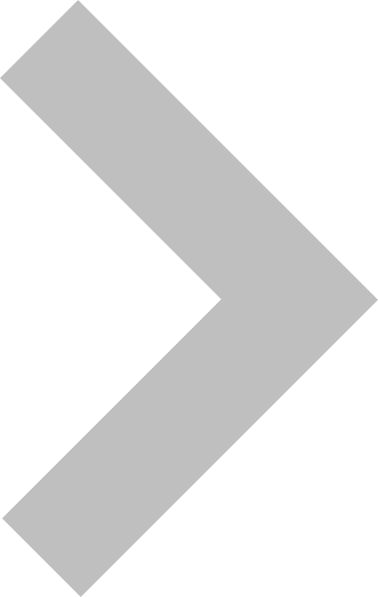 The school is designed to emulate a real-life technology-based work environment: It combines hands-on learning with virtual learning that embraces corporate partners and community. 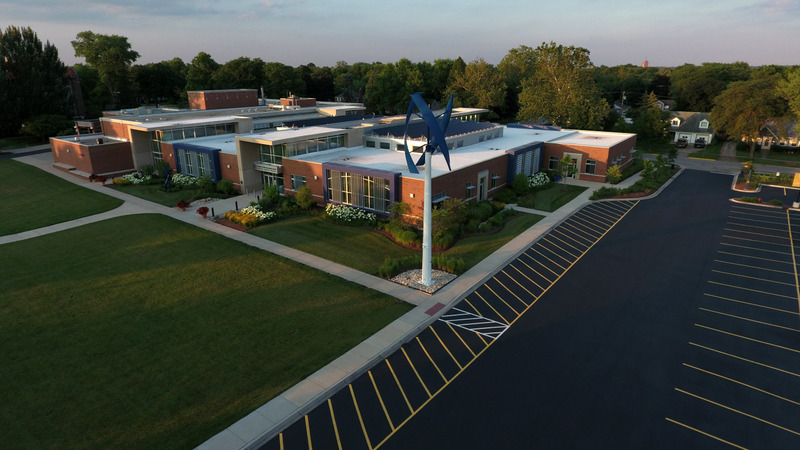 The John C. Dunham STEM school received USGBC's LEED Platinum Award, American School & University's Gold Citation Award for Educational Interiors/ Laboratories; and the 2017 Leading by Learning "Award of Distinction", the only project so honored by the IASB with its highest award.